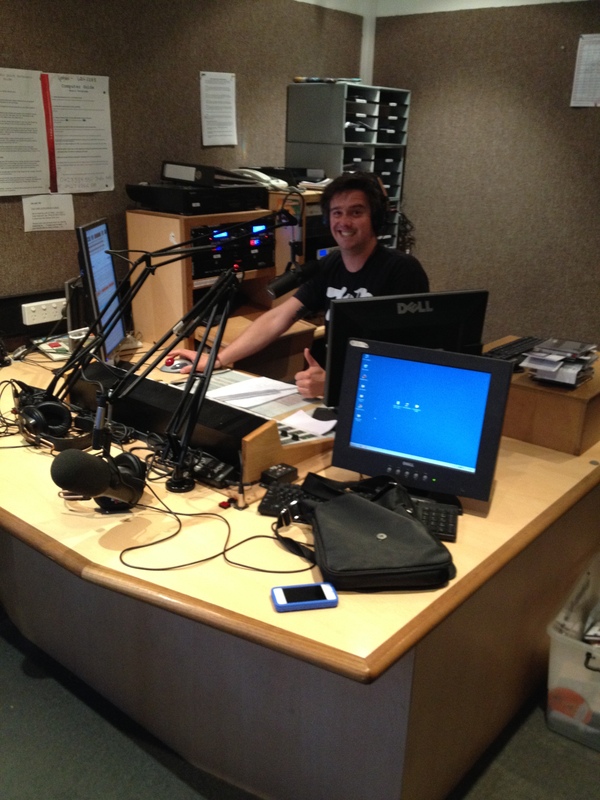 In the studio at Edge Radio 99.3FM in Hobart, Australia. 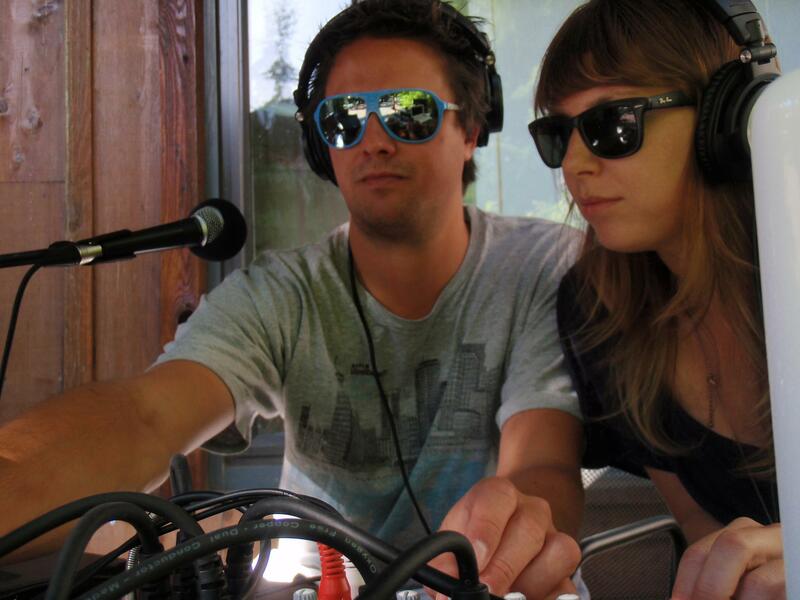 In the WMN.fm studio in Whistler, Canada. 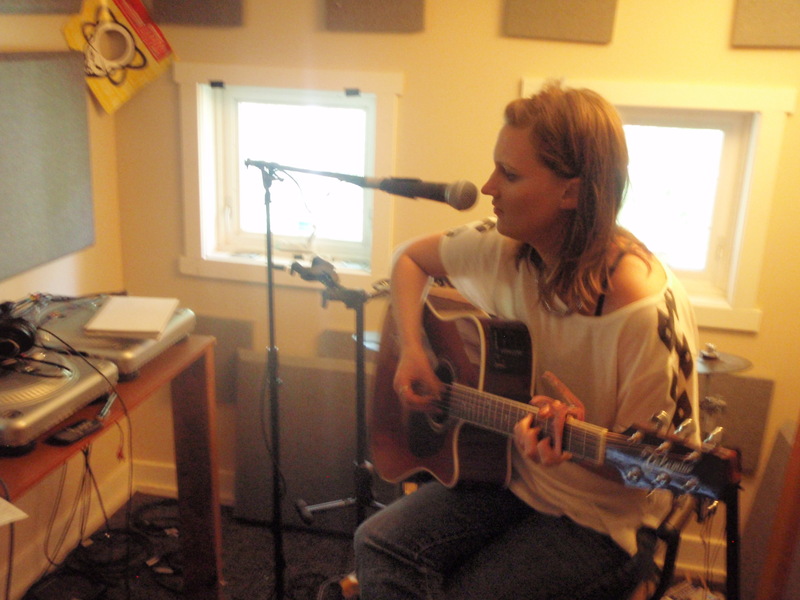 The station had such bad luck with studio venues, mostly due to them being located within bars that ended up being foreclosed, so the station manager set up a professional studio up in the only bedroom in his house, and moved out onto the couch in the living room. Thats’ dedication. Alice Blues plays live in the WMN.fm studio, April 2011. 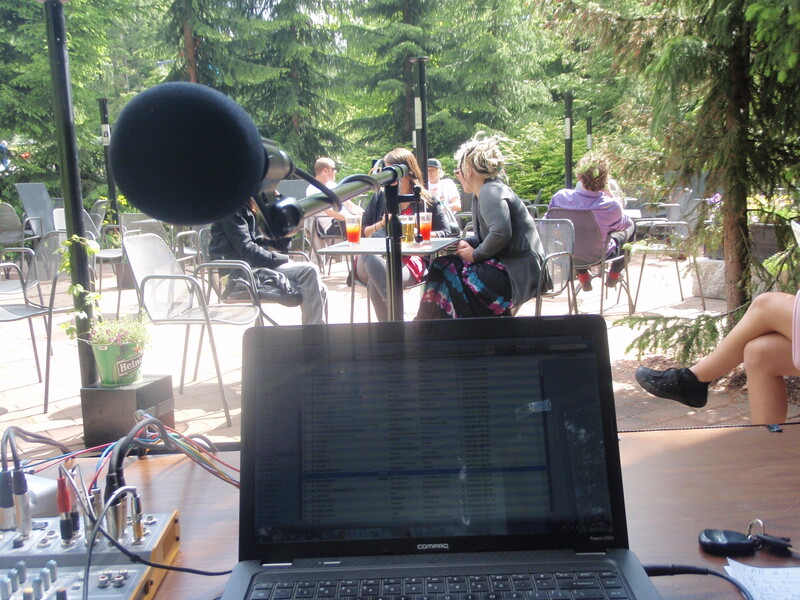 Hanging out at one of my WMN.fm live shows at the Elephant and Castle in Whistler, Canada. Summer 2011. 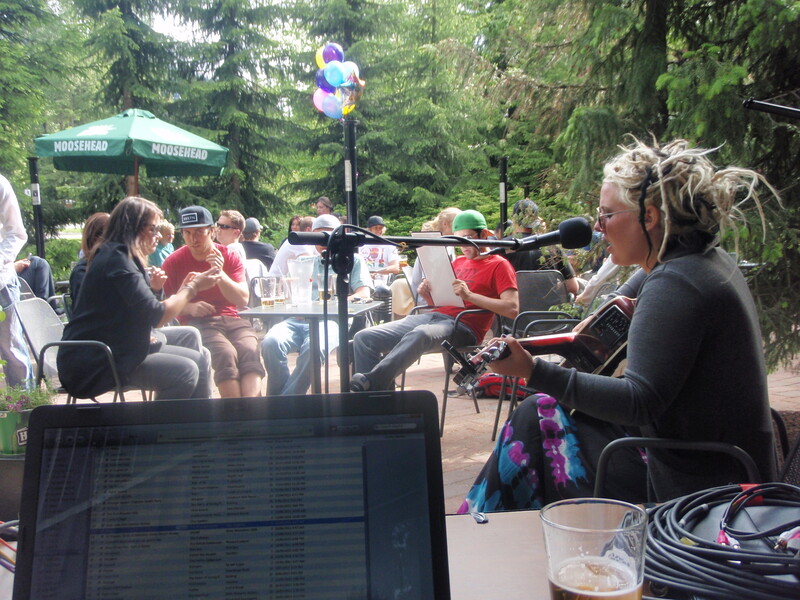 Caitlin Gale performs live on The Breakdown at the Elephant and Castle in Whistler, Canada. Summer 2011. This girl is going places. You heard her first on The Breakdown, episode 9. 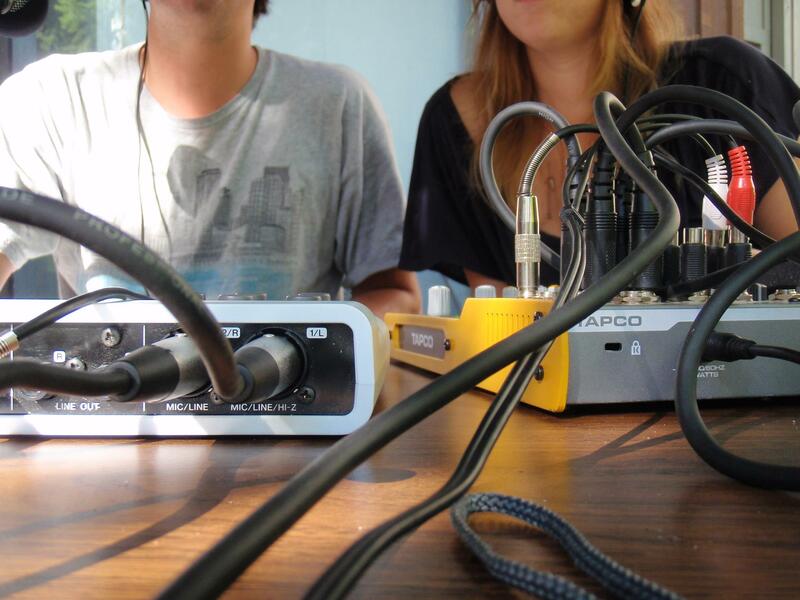 Katie Carter joining in to do a bit of guest programming at one of the live shows. Summer 2011.